Jungle Red Writers: Labor Day--and the Dreaded Pumpkin Spice! 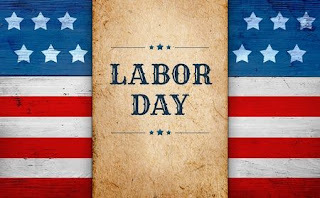 DEBORAH CROMBIE: Isn't it interesting that a holiday first meant to celebrate American union workers has become a mega-shopping-sale day? But that's America for you, isn't it? But besides the shopping, (and I admit I have taken a little advantage of the Labor Day sales, shopping for the last couple of things for my upcoming trip to England) for most of us, Labor Day is the unofficial beginning of fall. Even if it's still hot, after Labor Day, the kids are back in school, and summer is OVER. We're spending today having friends and family over for a cookout. 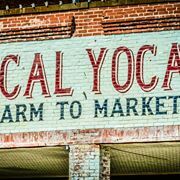 It's the Labor Day Special from our local meat market, Local Yocal. 8 Wagyu beef patties, 8 bakery buns. We've got corn on the cob and tomatoes from Saturday's farmer's market. And charred zucchini, yellow squash and fresh herb salad. For appetizers, locally made queso and chips, and fabulous hatch chili guacamole. And maybe I should consider something pumpkin-spicy for dessert, after all....but I think we're going with gourmet popsicles. It's going to be in the nineties here, after an exceptionally cool week last week for north Texas (high temps in mid-eighties!) but we're making the most of the long weekend and a chance to get together, even if we can't warm our hands around the fire pit. What about you, REDS? How are you spending your Labor Day? 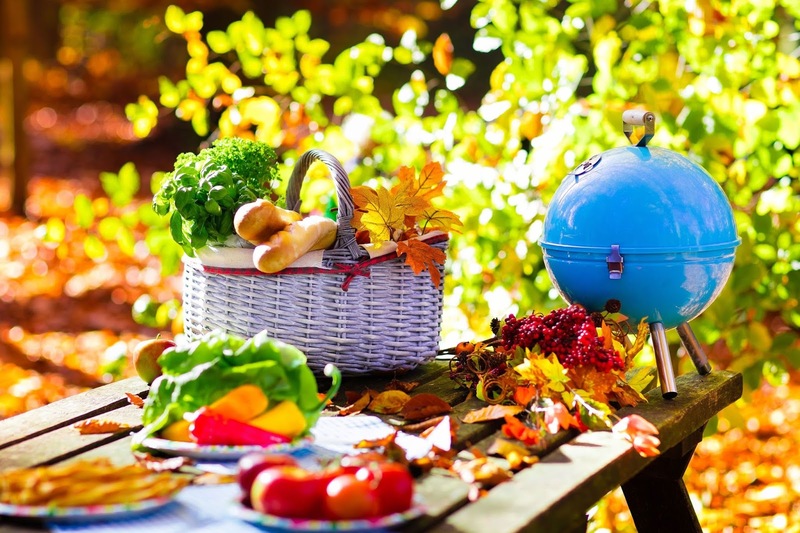 Hopefully having picnics that look like this. INGRID THOFT: Fall is my favorite season, so I’m not as sad to see summer go as most people. I’ll admit that I’ve never tried a pumpkin spice latte, but my mom makes the most delicious pumpkin bread that I wouldn’t turn down any time of year! This year Labor Day weekend is a weekend of work for us, but mostly good work. I’m working on a chunk of my next book—the standalone—that I’ll be sending to my agents and editor this week. We also just had some interior painting done, which has provided the opportunity to rearrange art work and sort and purge (thanks for the wonderful organizing tips on Friday, Kathy!). I love sorting and purging, so it isn’t really work, but even when though I enjoy it, I find my stamina can wane partway through the process. I’ll definitely have to make time for snack and reading breaks! Lastly, it still feels like summer in Seattle—sunny and the 80s—so we’ll definitely get in a few walks and hit up the market for juicy nectarines and other goodies. DEBS: Ingrid, give us the pumpkin bread recipe! RHYS BOWEN: If you had asked this question a week ago I would have said I was not ready for summer to end. I love the long days, the warm weather, lounging in the pool, all the wonderful fresh fruits and picnics. And I hate pumpkin spice! But we've had the most brutal heat wave in Northern California: 111 degrees yesterday by the Bay. Not many people have air conditioning as it's generally not needed. We don't. But we have a two story house and the downstairs is always cool so we're surviving but I have just refused to cook until it cools down. So now I might be persuaded that fall is a good thing. DEBS: Rhys! That sounds brutal. I hope it has cooled down. HALLIE EPHRON: So weird, because here in New England it's been in the 60s -- 50 this morning when I got up -- quite cool for this time of year. The fruit flies were dropping like... flies. And I was feeling so cold I got out socks and my furry bedroom slippers and made a huge pot of minestrone. I agree, Debs. Pumpkin spice: feh. Coming on the heels of limoncello. Also feh. Our grandchildren have just left and we are spending labor day NOT going to the mall. Our youngest is starting pre-K. A right of passage. And my husband is back teaching. If only fall weren't followed by winter, it would be my favorite season. JENN: Autumn is my favorite season. Spending my childhood in the land of covered bridges (Kent, CT), I found the changing of the leaves from vibrant green to lush reds, yellows, and oranges to be pure magic. Annual apple picking, which meant my mom's apple pie (best in the whole wide world) and apple butter for morning toast, brought me unparalleled joy. Labor Day always meant these treats were soon to follow, so living in central AZ has been quite an adjustment. I will get my leaves and apple pie but it will be a whole lot later, probably October, when we take our annual long weekend in Flagstaff. This Labor Day will be spent as they usually are - with a game of intense basketball in the pool, while listening to rock and roll with a cookout to follow. HANK PHILLIPPI RYAN: Cookouts! (Too cold for that here, that's for sure. We turned on the heat on Sunday! ) But cookouts. 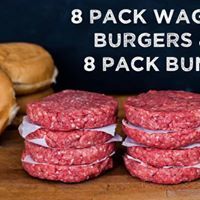 Have you ever noticed that the packages of pub burgers (delicious from Star Market, my secret, amazingly dee-licious) come in 6, but the hamburger buns come in 8? SO mathematically challenging. And 12 hotdogs to a pack, but 10 buns? Grr. Scarves and sweaters, no humidity, no one pressuring me to put on a bathing suit. And I always want to buy school supplies, and since I'm starting a new book on Sept 13, (gotta have a schedule, and that's it) I think I will go get some preparatory notebooks. It IS, however the season that really underscores the passage of time, and the brevity of everything, and coming of a darker time. Passages. But! My birthday is coming, and (as we already see in the drugstore display) so is Halloween. DEBS: Yes, Ingrid, do tell! And readers, check in. Tell us how you're spending Labor Day. Working? Cooking? Or just chilling? PS: This is what it will look like in the Cotswolds, in southwest England, when I am there at the very end of September. But do you know how hard it is to pack for weather 25 degrees cooler than your current temps? 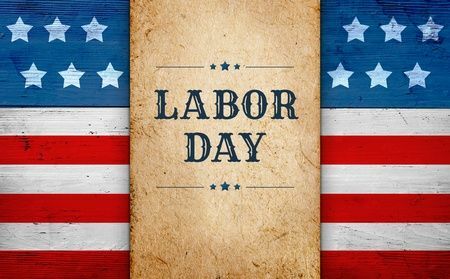 Happy Labor Day from all of us here at JUNGLE RED! “Pumpkin spice latte,” was her jubilant answer. I think new motherhood may have unhinged her a bit, but I refrained from making that comment and simply suggested I would not be the least bit upset if she had my share. The weather is supposed to be nice, so we may barbeque, but it will be a quiet day here. John has to work, but I don’t . . . and for me a day to stay home instead of going to work is a day to read. Mmmm! I love fall, and all it brings with it, especially the cooler temperatures. I've never seen New England in the fall, but I grew up in the Missouri Ozarks, and I think it would be hard to beat the blazing fall colors of the hardwood forests there. And, like Jenn, my first bite into a tart, crisp apple is the flavor of fall for me--forget pumpkin spice. This fall I have an adventure planned. I'll be driving to North Carolina and back to pick up a leaded glass window I commissioned from a high school friend, who has a studio in Burnsville with his talented and lovely wife. I've seen the design they made for me, and some work-in-progress photos, and it's going to be outstanding, plus I'll get to drive through the Great Smoky Mountains at the prettiest time of year. Only one lingering question: should I swing by Graceland as I drive through Memphis? Absolutely, visit Graceland! My sister lives about eight miles from there, and they make pilgrimages. One of these days I want to go, just to experience the over-the-topness. That's kind of where I am, Karen. Not a huge Elvis fan--like the music, don't particularly venerate the man--but Graceland is just so very . . . yeah. I am so not ready to abandon summer produce - but I ordered a new pair of knee-high boots yesterday and baked both banana bread and sourdough bread! No pumpkin spice for me except in the pumpkin pies at Thanksgiving, the only place it belongs. I'll be spending today cranking out words on the WIP - which is almost close enough to the end to start being fun again. Rhys I've been watching the northern California temps with mouth agape - has it ever been that hot there (or in Portland, OR) before! Here in So. Fl. We're ready for fall - it's been in the high 90s and humidity so thick the air weeps, but this morning, to celebrate Labor Day, we woke to fog -- which means the temp dropped overnight. Fog is glorious and makes me think of Carl Sandburg's little cat feet. Salmon on the menu tonight, along with corn on the cob and grilled yellow squash, maybe a quinoa, tomato, cilantro salad. Not sure. It will mean venturing out for green onions. Are you grilling the salmon outside? We had to cook hours inside last night, and I did broil for 10 minutes, and then bake for three. It really worked! ( with lemon infused olive oil and teriyaki sesame marinade.) It really worked! Fall, oh, how I love it! To celebrate Labor Day we're having a neighborhood get-together at a neighbor's house. Our contribution to a table heavy with good food will be a homemade apple pound cake which I need to go bake right now. Apple pound cake??? What it the marvel you speak of? I love apple EVERYTHING. Do share! I resisted turning on the heat the last few days--and finally, we have some sun today!! Yay!! Love summer, hmmm--love fall...love spring--and only mind winter when the roads aren't good or it's so cold it's stupid to venture out. I agree with Edith--pumpkin spice belongs in pumpkin pies. One young man working, one studying like mad for a test tomorrow, and I have a book of poetry to review, work to finish, and pancakes and bacon to make for breakfast after my morning walk. Hope y'all have a wonderful day however you spend it! Your weather sounds wonderful, Flora, and I am with you and Edith in the pumpkin pies only camp. I love pumpkin pie with fresh whipped cream, but only once a year. I'm waiting for Ingrid's mom's pumpkin bread recipe! Mmmm, and I do love pumpkin pies. With whipped cream. I could eat easily it more than once a year. Homemade apple poundcake? Kaye, that sounds fabulous. And meant to say, I have a soft spot for Labor Day because my firstborn baby girl was born on it. Two weeks late. And I'd told everyone Labor Day was my due date. I am laughing at everyone's reaction to pumpkin spice lattes. I don't mind them although I prefer hazelnut. But my question is this: Who is making you people drink them? And if the answer is "no one," why do you care? We're home all this weekend, still recuperating from the BKS (Big Knee Surgery), but fall is coming early to western NY. Trees are beginning to change, and the nights are down right chilly, blanket weather. I'm doing well with the PT, and there is no sign of the dreaded prosthesis failure that has plagued me. In a couple of weeks my darling favorite and only daughter will be here, and the three of us are taking a driving trip to Montreal, the eastern townships and THREE PINES! Well, Knowlton anyway. Then home thru Vermont with a stop at the Vermont Country Store for some nostalgia shopping. The fall leaf season should have a good start if not at peak, and it will definitely be sweater and long pants weather. And then winter comes. Sigh. A little while, that in me sings no more." 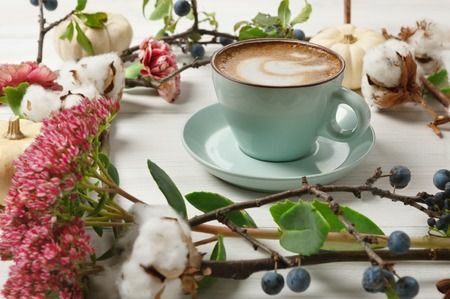 Ann, Thanks for sharing the poetry.... and the pumpkin spice thing, for me, is that it's in everything and everywhere--candles, coffee, doughnuts, probably perfume ;-) You can't escape it!! Three Pines!! On my bucket list to do with my youngest sister!! Well, Ann, I did have a young man follow me around his bookstore quite relentlessly telling me I MUST try his pumpkin spice coffee until I finally told him just how much I really disliked pumpkin spice coffee and the people who so rudely tried to push it on me. Other than that, well, I think we're just making conversation. To get to Three Pines, won't you need the map in A Great Reckoning? Please Hank, Three Pines is not on any map. You just have to show up there! We do have reservations for Le Relais Restaurant Bistro in Knowlton, the one mentioned in the latest book. I am such a believer in magic. I am positive Gabri and Olivier will be hovering somewhere in the background. Ann, you will report, won't you? Or will you be bound to keep Three Pines a secret? I'll whisper it in all your ears. Yes, pumpkin pie is so yummy. I agree, that's the only pumpkin thing that works. Unless… Is there a pumpkin soufflé? Edith, You are unstoppable. What number book is this? Hallie , so there's a birthday party? Oh , I should have replied individually… Rats. Or pumpkin pudding, as in a proper steamed pudding, I think would be delish. I have no objection either to pumpkin itself, or to pumpkin pie spices--just not in EVERYTHING. And didn't Starbucks have to start actually putting some pumpkin in those pumpkin lattes last year? My youngest daughter makes this amazing pumpkin pie that has two layers, one that's more like a cheesecake. I prefer plain pumpkin pie, but she always makes it for Thanksgiving because she loves it so much. On Nome Street we tend not to embrace fall, rather dance when hurricane season ends. I am watching Irma --no friend of mine-- and hope that Lucy/Roberta's Key West house and friends will be okay. Pumpkin Spice? I might add it to the cat litter to see if my clouder will be amused. Today marks the end of 10 days of vacation for me, so it has a tiny bittersweet component. But it was a great and VERY RESTFUL vacation, (part staycation, part spent in a lodge and hiking the trails in one of Ohio's state parks), so I'm in good spirits. And my 23-year-old son is home to spend the day with us, which will be sweet as well. We will cook out -- in deference to the two devoted carnivores and tradition, probably some kind of red meat. We will not shop (other than a quick grocery run) and may not leave the house for anything else, either. Will probably stream a movie somewhere along the way. I'm not ready for winter yet by any means, but the arrival of fall is OK with me. It's such a short season, at least here in Ohio. We often have summery weather well into September, though this year it looks like fall has arrived already. Oh, and not a lover of pumpkin spice. I enjoy one slice of pumpkin pie on Thanksgiving day and beyond that, it's not my thing. Karen, I have to agree! Now at 10:38 am or so, I'm trying to decide what I'll do with the rest of my day. There is a book I just started reading (Leigh Hearon's "Reining In Murder") that I could try to finish. There are a couple of TV shows I need to catch up on. I want to go see the movie Wind River. And I was thinking of where to go and grab some lunch. So, with the exception of not being at work, this is pretty much a normal day for me. Having an October birthday, fall is my favorite season, too. I yearn for the brilliant blue, crisp fall days with vivid crimson and gold leaves. I can take or leave pumpkin anything, and am quite content to have a piece of pumpkin pie at Thanksgiving, and another at Christmas. If no one made a pumpkin pie, though, I wouldn't miss it. And I don't understand the obsession with PSL (including candles scented that way). But I'm also not a big latte drinker, anyway. Jay, your comment on pumpkin spice condoms cracked me up! Glad I could provide some levity in your day Karen. I like pumpkin-spice-anything, and hope to stop off for a pumpkin spice latte later today, and I can't wait for my favorite neighborhood restaurant to start serving pumpkin pancakes this year! I hate fall and winter because I'm never warm enough and it takes so long to leave the house in the morning, due to all the layers of clothing that I must put on. Not to mention the need to scrape ice/remove snow from the car, and possibly need to shovel the snow that I'm not supposed to shovel. I LOVE summer and late spring, and feel that I am most truly alive and truly human in the summer! My first childhood memory of being aware that I was extremely happy happened in the summer- I was outside with my friends, the sun was out, I was wearing shorts and a tee shirt, the air felt soft on my skin, and I felt so "complete"! One of my sisters makes a most yummy pumpkin muffin--with chocolate chips! I'm a summer person, too. I'm happiest from May-August, but having moved to Florida, I can cope better because it feels like summer, about 98% of the year. (Last year, we held winter on a Friday.) We still have to deal with the short days, however, and I'm not happy about that, but I don't have the energy to switch hemispheres, twice a year. I, too, enjoy the pumpkin spice! Yum! Pumpkin spice is fine in pumpkin pie/bread/rolls , but I don't want to drink it. We're spending labor day watching all the weather sites, and doing some hurricane prep in case Irma comes to visit. ( We are 3 streets from the Atlantic Ocean on a barrier island on Florida's Treasure Coast. ) We're trying to figure out if / when to evacuate, and then where to go with our cats and my husband's parents. I don't care much for fall. If the leaves would just change colors, and stay on the trees, and then change back to green, that would be fine with me, but I hate those naked trees. So depressing. My home state of WV is beautiful in October, but then full of naked trees under white/gray skies for the next 5 months. No thanks. I'll take my chances here with the hurricane. Here we have green all year round, and flowers. And usually very blue skies. So I'll deal with it. Jane, I hope you don't need to leave, that Irma keeps her distance from land. Oh, green all year round, and flowers, too! I am so jealous! Jane, we're all watching. Stay safe. I read pumpkin spice was made from baby unicorns. It was on the net; it has to be true. I forgot it is Labor Day. Right now everyone seems to be doing the same things 7 days a week. We had Sunday mail delivery yesterday. We may have mail delivery today too. Our mailman said they are just trying to catch up. My husband has been down in Wharton as a Red Cross volunteer. I am staying home manning the fort. Our neighborhood got off light, but everyone has been pitching in, donating or helping in other neighborhoods that were flooded. Once things calm down a bit, kids back in school, people back at work, I think there will be more volunteer opportunities that I can pitch in and do. I haven't been able to visit Mom since before Harvey. Her senior community is high and dry but on the highway that parallels one of the reservoirs on the west side of Houston. The highway has been closed and/or flooded so it is frustrating. Bleah! Pumpkin pie and pumpkin bread. Yes! Pumpkin spice lattes? I don't know. Never had one. I'm kind of a black coffee person. Fall? I love it. It takes a long time to get to Houston though. Late October or November usually. But so enjoyable when it arrives. Pat good news re: your family. Thanks for letting us know. Still crossing my fingers for Irma, looks like it will be the outer bands only. Go away Irma! I wish we could dump our water out west where the fires are burning. Those poor folks. Thanks for the update, Pat. When I read Jay's comment I thought surely pumpkin spice condoms are out there somewhere. So I googled it, and sure enough, a link to Amazon popped up immediately. They really DO sell everything! I've put in a request for the pumpkin bread recipe and will post it as soon as I get it. I seem to remember there are copious amounts of butter in it. As for fall, I've always found it to be perfect reading weather. I curl up on the couch under a blanket, and I don't feel guilty that I'm not outside enjoying the beautiful weather as I might in the summer months! A friend taught me how to make pumpkin bread in a coffee can - we should definitely have a pumpkin recipe sharing day! Although from the other side of the calendar -- Spring not Fall -- my mother once made an Easter bread in a coffee can. Jenn, thanks for stirring up that memory. We are having a heat wave in the SF Bay Area. Today is a little cooler at 71 degrees, though it may warm up later today. I love pumpkin spice. That is one of my favorite things about the fall. Pumpkin spice lattes are another favorite, I also love pumpkin bars, which I have to be careful because my metabolism is slowing down. I would love a recipe for pumpkin bread. August 23rd would be 16 years since my first Cochlear Implant surgery and September 24th will be 16 years since Activation Day. 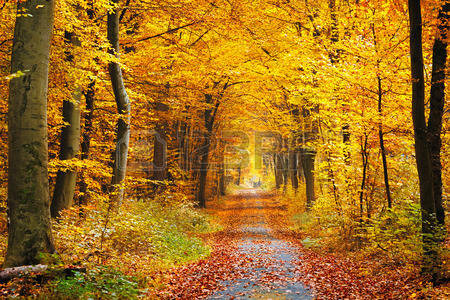 The sound of leaves under my feet when I was walking was one of the first sounds I heard after my Activation Day. Diana, hearing leaves under your feet for the first time is a good reason to love fall! Oh, Diana, what a lovely memory! Thanks for sharing! Deborah and Debs, thank you! it was the first time I heard since I was 18 months old! Aren't pumpkin spice latte yummy? I get the latte with almond milk. Yum! Pumpkin spice everything is bad enough, but I just left the grocery store and was assaulted by the odor of cinnamon brooms! They seem to hide most of the year and sneak out for the fall season. 1 tablespoon pumpkin spice syrup. 1 teaspoon vanilla simple syrup. 2 shots espresso or 1 cup coffee. Pumpkin spice (equal parts cinnamon, ginger, nutmeg, and ground clove), to garnish. Add a couple of cups of flour, an egg or two, a can of pumpkin, half a cup of butter, baking powder and mix well, throw in a loaf pan. Thanks, Ann. That actually doesn't sound too bad. Just way too sweet for me. Wonder if I could get it with just a smidgen of the syrups... Maybe I'd be converted. My mother made pumpkin custard pie but with butternut squash. I don't like real pumpkin pie but pumpkin bread is OK. I enjoy fall but miss the warmth and longer days. Winter is OK if we don't have a lot of snow or intense cold. Pumpkin spice overrated and belongs exclusively (in modest quantities) to seasonal pumpkin desserts. This craze has gone too far. Candles are the worst. Want to gag when I walk by a Yankee Candle store. Feeling curmudgeonly as you can tell. Pumpkin as anything, except a jack o' lantern, is not for me! In the mid-1970s, my first Thanksgiving in WA and away from home, a co-worker (later a friend) invited me for Thanksgiving dinner with her family. "May I bring something?" says I, ever wanting to be a good guest. "Oh, yes, a pumpkin pie", says she. Still in good guest and I-don't-know-this-person-well mode, I bought a can of pumpkin pie filling and using the recipe on the label made the pie. Everyone at dinner raved about, "best pie ever"...and I kept mumbling, "no,no, all that turkey, no room for pie." It was not until three pumpkin pies and three Thanksgivings with her family that I confessed. "Pumpkin Ugh!" Happy Autumn, All. Fall is my favorite season but I don't like pumpkin flavored anything! Today in midcoast/southern Maine was sunny and beautiful. Had a cookout at my nephew's...he and my great nephew swam in the pool but certainly were shivering when they got out!! Then we played a lovely family game of Scrabble. Simply a beautiful and relaxing day. I say NO! to pumpkin spice anything. I had a bad experience with pumpkin pie growing up and to this day ... blech blech blech. Someone can have my share. Please.